and listening and analyzing what he is playing, while continuing to play. When this process is happening, his brain becomes active in many different ways at the same time. It builds unique connections between different parts of the brain and makes the brain more adaptable. No one other activity (mental or physical) can engage as many brain parts at the same time, as playing music does. Basically, research shows that playing the piano—or any instrument—gives the brain a mental workout. This, in turn, can help develop a surprising number of skills, which is why it can be so beneficial for children to play an instrument. For instance, did you know that playing music could help your child to be better at math? Or that it can make her better at planning and problem solving? Did you know that playing musical instruments is like a complete full-body work-out for the brain? This video by Dr. Anita Collins from the University of Melbourne is a great introduction for these ideas. 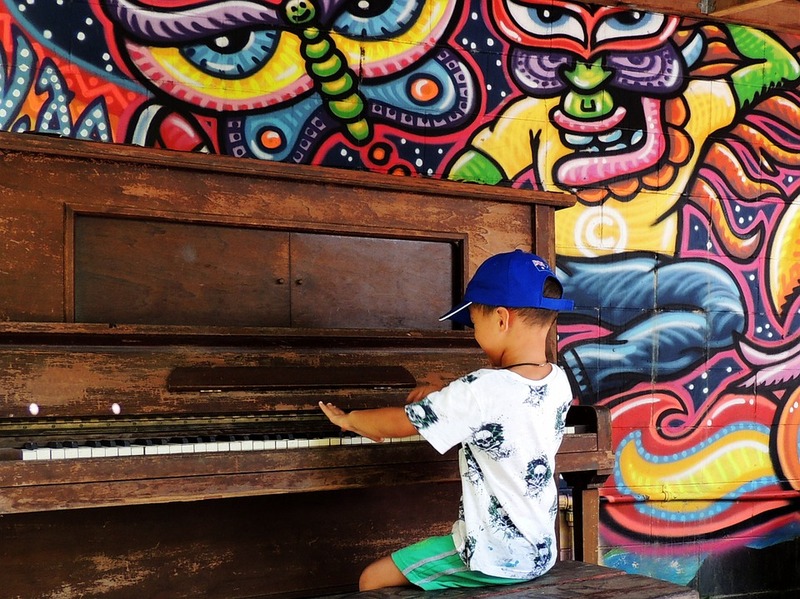 Neuroscientists continue publishing more and more research that shows how important playing music can be for children. It benefits their brain development in many different ways and builds their character. Here are the main mental benefits that playing music can give your child. Hearing better and processing faster. Enhanced reading and comprehension skills. Reading music is basically reading another language. It’s not as difficult, as to learn French, but it’s still a language. When a musician is reading musical notes and other musical symbols, as well as complicated rhythms, he engages the same parts of the brain, which are responsible for reading and comprehension. 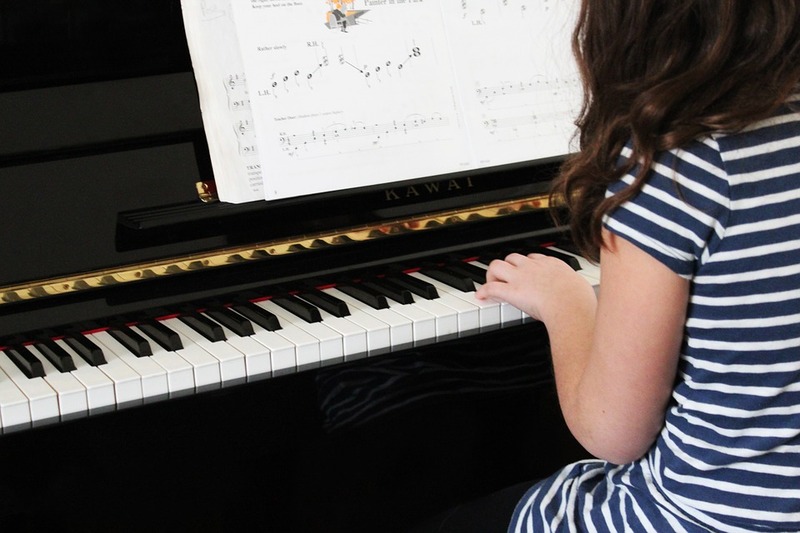 Studies have shown that preschool-aged children who have been introduced to musical lessons on keyboards, had higher scores on the comprehension tests, according to National Association for Music Education. (You can see their research here http://www.nafme.org/take-action/what-to-know/all-research/). Better concentration skills as well as multitasking skills. If we go back to the description of what a pianist is actually doing during playing a musical piece, we will see that it requires an enhanced ability to concentrate and multitask to be able to do it. Children can use these skills throughout the life, and not only when playing music. Ability of the brain to change and adapt faster during problem solving. Some studies show that playing music can increase a child’s IQ by 7% in average, according to Lutz Jancke, a psychologist at University of Zurich. 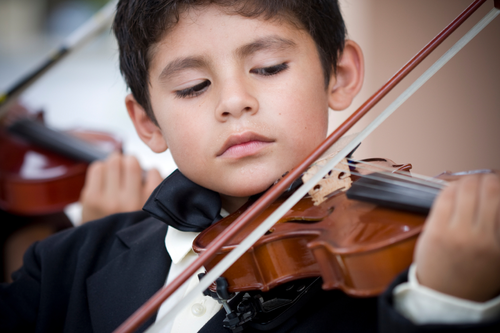 There is evidence that shows that grit and learning a musical instrument go hand-in-hand. But researchers do not know, which comes first – grit or playing music. However, a child does have to become persistent, determined and resilient in order to learn how to play a musical instrument. 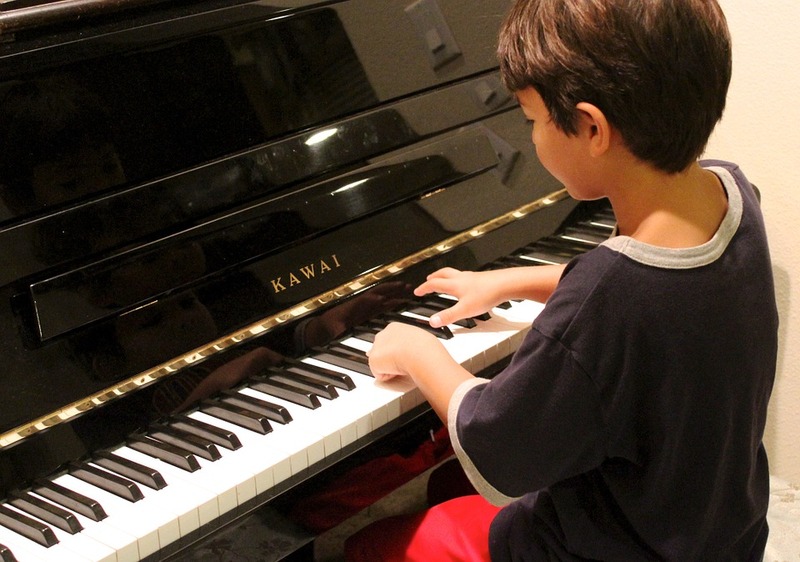 Yes, learning to play a musical instrument can greatly impact your child’s brain development. It might help him in many different aspects of his life. Children who practice music from an early age can do better not only academically, but they acquire a lot of very important skills, which can help them to succeed in life. They also learn, that these skills and their musical achievements are rewards from their practice, discipline and persistence. Sounds like magic, shall we try?